Leading a company strategically through a transition is never simple, but Polycom’s Mary McDowell has proven up for the task. In the summer of 2016, Polycom was on track to be acquired by Mitel. The shareholders of both companies had agreed, but private equity firm Siris Capital unexpectedly intervened with a better offer just weeks before the expected close. Paying a $60 million penalty to break its engagement with Mitel, Polycom opted for the Siris deal, which allowed the company to retain its independence, now as a wholly owned subsidiary of Siris Capital Group, LLC. The first action Siris took, even before the acquisition completed, was to name Mary McDowell as Polycom's CEO. At the time of her appointment, Mary was an executive partner at Siris Capital. Although she was new to unified communications, she wasn't new to technology, telecom, or large acquisitions, having spent 17 years at Compaq Computer Corporation and Hewlett-Packard during the PC's heyday, followed by nearly a decade at Nokia. Mary held leadership positions at all these companies. She was the GM of the Industry-Standard Server business at Compaq Computer for five years, participating in several of the company's high-profile acquisitions, including that of Tandem and DEC. She then got a taste of what it's like to be on the other side of acquisitions when HP acquired Compaq in 2002. Her time in the PC industry was during the industry's formative years. She was part of the team that developed the first x86 server, which became a fundamental building block of computing everywhere. The Compaq/HP leaders from that period have surfaced all over, including at Go-Daddy (Blake Irving), Dell/EMC (Howard Elias), O2 (Rene Schuster), Henkel/Adidas (Kasper Rorsted), and ShoreTel (Peter Blackmore). After HP, Mary headed to Nokia, serving in several senior roles once more, including running its Enterprise Solutions business from 2004 to 2007 and leading its global feature phone business -- the part of Nokia that still grew market share after the iPhone came to market. She was at Nokia until 2012, then transitioned into her role at Siris Capital before coming to Polycom just over a year ago. 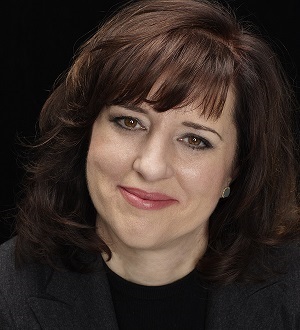 In addition to her role at Polycom, Mary currently serves on the boards of Autodesk and UBM (the parent company of No Jitter and Enterprise Connect). Mary grew up in the Midwest. She says that makes her "nice, not soft." She obtained a computer science degree from the University of Illinois Urbana-Champaign College of Engineering, and has received the distinguished alumni award from the university. She currently lives outside of NYC with her husband, who leads the National Kidney Foundation. Coming from outside the industry, what surprised you most about Polycom? Polycom is all-in on video; and by that, I mean we use video for everything. I'd never seen anything like it. Any casual conversation or 1:1 that in other places you'd do via a cell call is done with video here. I like it because it makes the interaction more human, but you definitely can't do meetings in your bathrobe. Unlike companies where video is reserved for executives or a few conference rooms, we make it available to everyone. When video is always available and employees have more than one way to access it from wherever they are, it becomes the ubiquitous communications channel. Your arrival coincided with Polycom going private. How do you think that has that affected the company? There are some of the typical things about being owned by private equity: They care about cash, and there's a lot of oversight. But one of the benefits is that we can now have conversations about problems that take more than 90 days to resolve. For example, we were able to reduce our channel inventory levels to a healthy level in Q4, something that is tough to do as a public company where the focus on quarterly earnings reports often hinders corrections of that sort. With inventory at healthier levels we can improve linearity and working capital. Just before Siris arrived, Polycom was about to be acquired by Mitel. In fact, Polycom had to pay a $60 million penalty to break the engagement. Do you think that made sense for Polycom? When I first joined, I spent a lot of time talking with partners. Almost everyone was pleased that the Mitel deal did not come to fruition. For example, we do a ton of business with Broadsoft. Being part of Mitel would have made Polycom part of a direct competitor. Same with Microsoft. I think it is probably one of the few cases in history where employees were actually relieved to be purchased by a private equity firm as they saw the Siris deal as a much better outcome for Polycom. What have you learned/experienced over the past year that has impacted your strategy moving forward? Polycom has had a lot of success in the voice business by promoting open SIP devices and not offering any kind of call control functionality itself. Part of our thesis was that Polycom could start to attach its video endpoints to the new generation of video-as-a-service (VaaS) providers. It is essentially an expansion of our end-to-end solution to an ecosystem play in which we would partner more deeply with Microsoft and other players as well as offer our own end-to-end video solutions. As I mentioned, we have had good traction with Microsoft and Skype for Business and Office 365, and we expect to build on that momentum with new Teams-capable solutions. We are also starting to see "green shoots" with some of the other players. What has been a pleasant surprise is the resiliency of the video infrastructure business. While the overall market for on-prem video infrastructure is declining year over year (for essentially everyone), for many customers, the scalability, interoperability, and security that the video platform delivers have kept them buying Polycom. Our transition to Clariti, which allows customers to buy video infrastructure as software to deploy on their own hardware, is showing good growth. So overall we are on the right track, we just need to continue to run as fast as we can. Click to the next page for more of Mary's perspective around cloud-delivered video services, women in tech, Polycom's Microsoft partnership, and more.